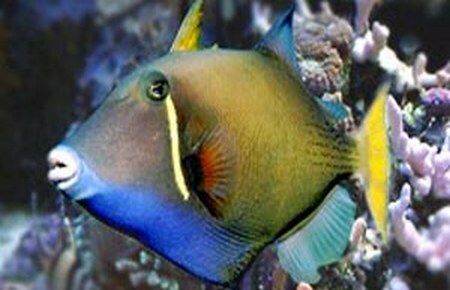 Welcome to the Marine Compatibility Guide which has been designed to help you to find compatible tankmates for your saltwater fish based on your current marine aquarium setup. 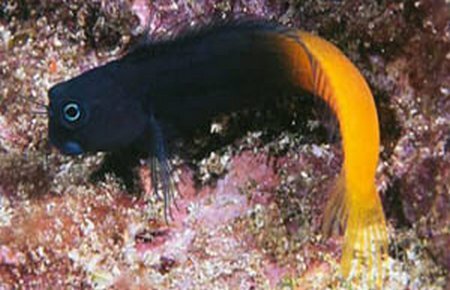 Species: Containing descriptions and vital information for hundreds of species of marine fish, invertebrates and corals, this section also lists some common names as well as showing some popular tankmates. Compatibility: Find out instantly if two species are generally known to be compatible. Displays the parameters of both in an easy to read table. You can let us know whether you think the species are compatible and see what others think. Tanks: Create your own by setting the size of your tank and adding species to it. The guide will then display any known issues and show you tankmates based on the filters you set. We hope you find this guide useful and please leave any comments you feel may benefit others. Also feel free to contact us with any feedback you may have. Enjoy!! To view details of a particular species, just enter the name below. Use the boxes below if you want to check whether two species are compatible. Mine, that I own since now 2 years (and is now about 8 inches) , is with damsels, clownfish, Centropyge and Siganus is very kind. 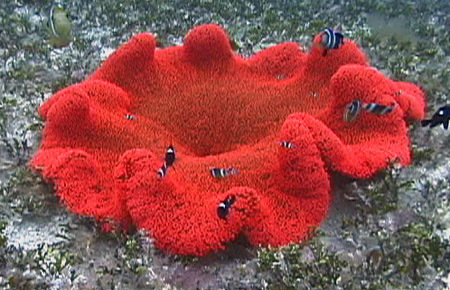 It doesn't touch to LPS nor to disk anemones. Not even to the small (1 cm) white starfish which are everywhere in the tank. The only live animal it did eat: snails, they may hide a few days but it always manage to got hem. This is a dangerous fish. He has killed my Yellowtail Damsel, Royal Gramma Basslet, Tomino Tang. Hasn't killed Clarki Clownfish yet, but ate the eyes of the Tang... straight through from one side to the other! He should go in last. 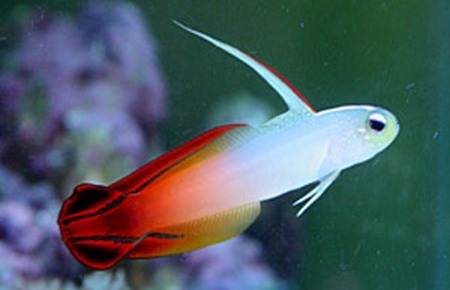 If he's already in your aquarium, you will not be able to add any other fish. I have a 55-gallon, FOWLR. I have had several of this species of triggerfish and they have varied quite a bit individually in terms of how aggressive they were. One of them was so aggressive that I had to keep him/her in a tank alone because s/he attacked literally any other fish that was in the tank. I had received the super-aggressive trigger from a friend who was fed up with him/her. 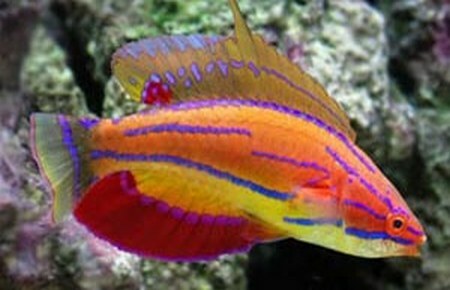 I had another one of the same species who was very well-mannered and lived happily in a mixed tank with a tang, an angelfish, and a Sergeant Major damselfish--with absolutely no problems of aggression. This species of trigger seems to be the least predictable (IMO) as far as how aggressive it might be in the tank. 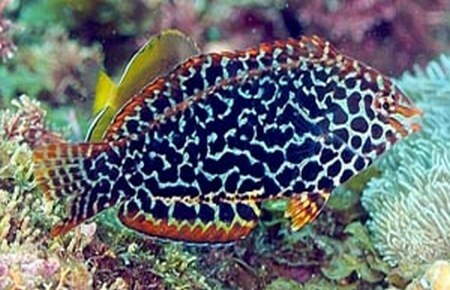 The Zebra Moray Eel is the most peaceful one & not aggressive. I don't know what site this is but should be removed for posting inaccurate stats. Our pictichromis paccagnellae led our pseudocheilinus hexataenia to jump out the tank, as he was scaring him. Too territorial into our 75l. Note: these were our only two fishes. I have these 2 in a 55 an they are fine together been together for over 6 months. I've had the two together for years, and they get along fine.